The Kyle Lake Center for Effective Preaching aims to provide thorough preparation for the practice of preaching for seminary students as well as ongoing education opportunities in preaching for pastors and others in ministry. The Center is named in honor of Kyle Lake, a 1997 Truett Seminary graduate who died while pastoring University Baptist Church in Waco. Gregory received his BA and PhD from Baylor University and his MDiv from Southwestern Baptist Theological Seminary. 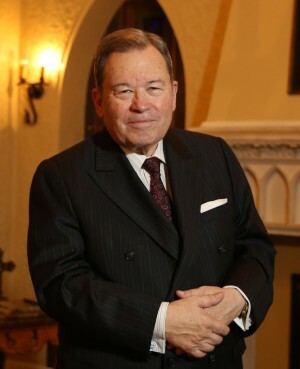 He served for two terms as President of the Baptist General Convention of Texas, and his pastorates include Travis Avenue Baptist Church in Fort Worth, Texas, and First Baptist Dallas. Through Joel Gregory Ministries, Gregory provides resources and seminars to pastors around the world. Most recently, Gregory was honored with the “Living Legend” Award by the E.K. Bailey Expository Preaching Conference and was voted one of the 12 “most effective” preachers in the English-speaking world through a survey conducted by Truett Seminary. Looking toward the future, Gregory plans to continue the good work of the Center begun by Dr. Hulitt Gloer as well as introduce innovative programming and resources.